With its rival LG Electronics’ new flagship smartphone G6 off to smooth sales, Samsung Electronics has made a rare move to release an ad for the Galaxy S8 on TV three weeks ahead of its official launch. Such advertisements are usually unveiled one or two weeks prior to the official launch. LG said over the weekend that the G6 sold more than 30,000 units over the first two days since its launch Friday. Its preorders exceeded 82,000 units during the eight days that began March 2. “Although the initial interest was bigger for the G5, there were still a lot of inquiries for the G6 over the weekend and most preorders led to actual sales. Customers seemed to like the G6’s full display, thin design and light weight,” said an official of SK Telecom’s authorized retail store Sehwa agent, located in Jung-gu, downtown Seoul. 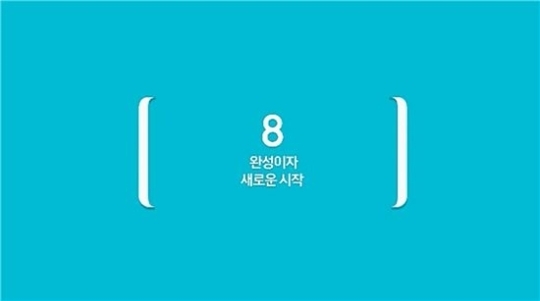 In light of the positive market response to its smaller rival, Samsung released a 15-second teaser video for its upcoming flagship Galaxy S8 from Thursday. This is three weeks ahead of its official launch on March 29. “Samsung’s rare move to release a TV ad for the Galaxy this early appears to (be an attempt to) keep LG from dominating the nation’s premium smartphone market before the S8 rollout,” said an industry watcher who declined to be identified. Samsung’s Galaxy S8 is slated to be unveiled on March 29 in the US and UK, and on March 30 in Korea, with the release date expected to be on April 21. As for LG, market analysts said if its favorable sales continue, it could bring a turnaround in the company’s mobile communications unit, which posted 1.3 trillion won ($1.1 billion) in operating loss last year. “The LG G6 sold 20,000 units on the first day of sales, a record high compared to its predecessors. The figure was higher than double and quadruple that of theGalaxy S7 Edge and Galaxy A5,” said Kim Dong-won, an analyst of KB Securities. “If this trend continues, LG’s mobile business is likely to see a reduction of more than 1 trillion won in operating losses from the previous year,” he added. On the news of the positive start of the G6, the shares of LG Electronics closed at 65,300 won on Seoul’s main stock exchange, up 1.87 percent from the previous day. Following its launch in Korea, the G6 is expected to go on sale in the US early next month and later in Europe.